Through the years the number of fonts and typefaces you can use on websites have increased dramatically. While having a lot of choices is always a good thing, it can also be disastrous, as using the wrong fonts could turn visitors off and force them to go elsewhere. If your website looks a bit disorganized and needs a website redesign, using the right fonts will be essential. You need to make sure the fonts are appropriate for the website’s content, that it is web-ready and that they are licensed. Since there are a lot of fonts and typefaces to choose from, it’s best to get a few select fonts, read it and compare it to the ones your site is currently using. Second, don’t limit your choices to traditional fonts like Georgia and Verdana as there are a lot of other options available like Vinyl, Gothic, Hellenic Wide, Euphemia and more. There’s no need to rush the selection process because the fonts make up an extremely important part of your website. If you don’t take the time to pick and choose the results could be unacceptable, so if your knowledge of web fonts is limited, take a look around and do some research first. The other thing you need to consider is the size, as some font family styles can take up as much as 400K. That may not seem much, but if it’s served millions of times then it makes sense to fully optimize them. 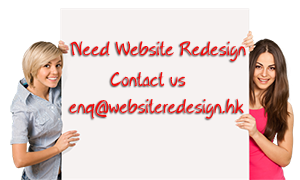 As you’re redesigning the site you can remove any superfluous characters off the web version. The majority of web browsers are only capable of displaying a few characters so it’s no big loss. Remember that web browsers are being updated constantly, and the latest browsers are capable of displaying different numerals, swashes, small caps, OpenType substitutions and more. What this means is that some options you usually don’t include may be added now. However, you shouldn’t get too fancy with the fonts because some users might still be using an older browser. More importantly, you need to test the readability of the fonts and if they display properly. You also have to consider what fonts work well on the web, as some of these are better suited for printing than onscreen. However, fonts like sans serifs usually display well on websites. Finally, regardless of what font you use, remember to test, test and test. This sounds like a no-brainer, but the fact that many websites display poorly indicates that many webmasters don’t do this at all. If you’re redesigning the site, don’t forget to include a font readability assessment to ensure that people can read what you’ve put there.